This black powder may look scary, but activated charcoal does wonders for the body. The reason why activated charcoal comes with the Full Body Cleanse is because it helps to trap heavy metal toxins and chemicals in the body and draw them out. It helps to lower cholesterol, reduce bloating, and help bile flow problems during pregnancy. Most commonly, activated charcoal is used to help treat drug overdoses or alcohol poisoning. The short answer is that it flushes toxins from the body. This happens via the process of absorption. The charcoal doesn’t actually absorb the toxins; rather, it traps toxins in its tiny pores. It is also negatively charged, which attracts positively charged toxins, just like a magnet. One thing to note is that activated charcoal is not the charcoal you use in your barbecues. While there are many different uses for activated charcoal, here are five uses that we love! Similar to how charcoal traps toxins and chemicals in the body, it also traps solvents, pesticides, or waste in water. It is commonly used in many water filtration systems worldwide, but it cannot trap viruses or bacteria. Clean water is integral for optimal health, so using a filter with activated charcoal is great to have in your home! Many videos of people brushing their teeth with charcoal products have surfaced around the web lately. Activated charcoal helps to promote great oral hygiene by balancing the pH levels in your mouth. It also helps to whiten your teeth, removing coffee, tea, or berry stains. Be careful not to brush with activated charcoal too much because it can be a bit abrasive to your gums and enamel. While aging is a natural part of life, some people like to do what they can to remain youthful. Activated charcoal helps to support the adrenal glands and prevent cellular damage in the kidneys and liver. Taking activated charcoal also helps to keep your toxic load down, which helps you stay younger. It can also reduce your risk of cognitive decline! Activated charcoal is great for your digestive system. It helps to remove toxins, which can lead to a weakened immune system, allergies, oxidative damage, and digestive diseases. Most of the food in the Standard American Diet is laden with toxins and chemicals, so taking charcoal, in conjunction with eating more fresh fruits and vegetables, can help cleanse the digestives system. Depending on how your body reacts to food, gas or bloating are very common digestive symptoms. Activated charcoal helps to relieve gas and bloating by binding to the gas-causing products in foods and flushing them from your system. Mix ½ teaspoon of activated charcoal powder in 8 ounces of alkaline water and drink it at night to relieve bloating symptoms. Q: I miss taking the ACTIVATED CHARCOAL at night. Can I take it after the detox or increase the dosage? Q: I have some ACTIVATED CHARCOAL left over from my FULL BODY DETOX. I just read one of your reviews that stated that someone is using the charcoal with non-fluoride toothpaste. What are the effects if you use with regular toothpaste? Using the activated charcoal promotes good oral health. When using it with non-fluoride toothpaste it creates a natural and powerful supplement for your teeth. You can use it with regular toothpaste, it just won't be considered natural. Q: I just ordered the OZ OIL, ALTERNATIVE DIET AND LIFESTYLES MANUAL, and the ACTIVATED CHARCOAL powder. I ordered the oil for my herendous keloids; do I apply it directly on the keloids and or consume it internally? Also, I don't see anything on your website for teeth (i.e. strengthening gums, plaque removal). Any recommendations for toothpaste/mouthwash? YOU CAN USE THE OZ OIL INTERNALLY AS WELL AS EXTERNALLY. WE HAVE DENTAL HYGIENE PRODUCTS COMING SOON, I.E. HERBAL TOOTH POWDER, MOUTHWASH, ETC. BUT CHECK YOUR ALTERNATIVE DIET AND LIFESTYLES MANUAL FOR HEALTHY BRANDS OF TOOTHPASTE. YOU'LL FIND IT IN THE MANUAL. GREAT PURCHASE!!!! FYI: I'M NOT A DOCTOR. Q: I want to use activated charcoal while I am nursing. Can I use it everyday? How often can I use it? Will it affect my wild yam birth control pills? 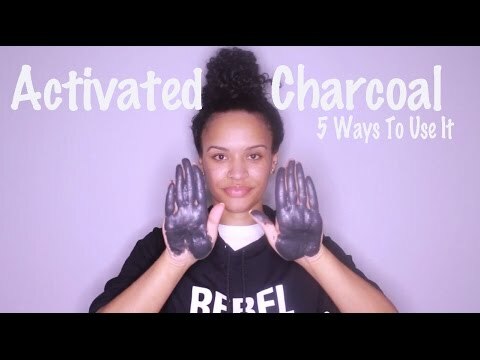 You don't need to use activated charcoal everyday. Just 2-3 days per week, and "no" it will not affect your Wild Yam (birth control). Q: I see that you offer activated charcoal. How would I utilize it rid my body of heavy metal toxicity? Take half a teaspoon and stir in water and drink daily (best if done before bedtime). Q: Is there a worthwhile product for men to take to help enhance circulation, lower blood pressure, and overall health? Is it okay not to take the ACTIVATED CHARCOAL? Yes. Try our CIRCUL-AID FORMULA, CARDIO-VASCULAR FORMULA, and RAINFOREST TONIC. Q: While researching the activated charcoal, I noticed that the product will turn ones insides black. How long will my insides remain black? Q: How does EDTA sublingual treatment differ from the Activated Charcoal? I've done a few EDTA IV tx. EDTA is different from charcoal because EDTA removes mostly calcium deposits whereas charcoal removes various hard and soft toxins. Plus, charcoal is organic and EDTA is not (made from oxides). Q: How long can one stay on the FULL BODY DETOX? How long can one take ACTIVATED CHARCOAL? One can perform the FULL BODY DETOX back-to-back: 2-3 times consecutively depending on the person feels. One can take charcoal 2-4 times per week. Q: Last, I saw that you say charcoal filters are not good, but if a person has only city water to drink, isn't the filter better? Charcoal filters can be beneficial to filtering your water however they don't always eliminate all the fluoride and other things in water. Filters always help to improve tap water, but choosing which one is more beneficial is best. 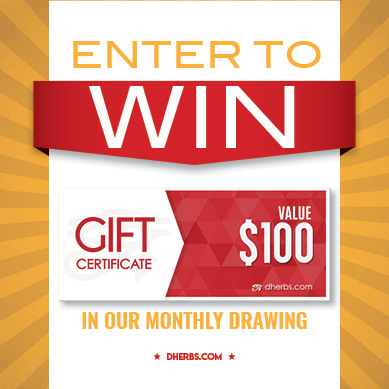 Q: What generally is the difference if I were to purchase from dherbs to get the activated charcoal instead of GNC. Also my friend says that he purchased the toothpaste off of dherbs. I can assure you we don't sell toothpaste. We never have! We only sell a top-selling herbal tooth powder which I highly recommend. In regards to charcoal, Dherbs is 100% quality. Period! GNC is a corporation and their products are usually cut with additives (fillers, binders, preservatives, etc.) 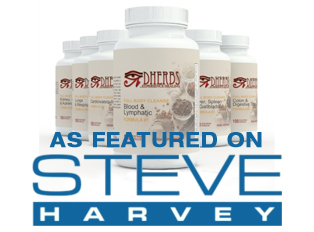 There's no comparison between Dherbs and GNC! Take a chance and find out for yourself! A: The charcoal is safe for you to consume, it's a major part of the detox program that helps pull out heavy metal toxins and drugs from your body. There are raw food recipes on our website, please look on the left side and find the "recipe" link. Be sure that you're only consuming meals that are indicated as raw. You can also find recipes from other raw food restaurants and health food stores. Q: My first question is can I take your charcoal at the same time while taking herbs? Does it interfere in any way or work against the herbs? NOT AT ALL! No, the carbon does not lower cholesterol. Adjusting your diet is the best way to lower cholesterol. We recommend doing the Full Body Cleanse followed by the Cholesterol Formula if needed.